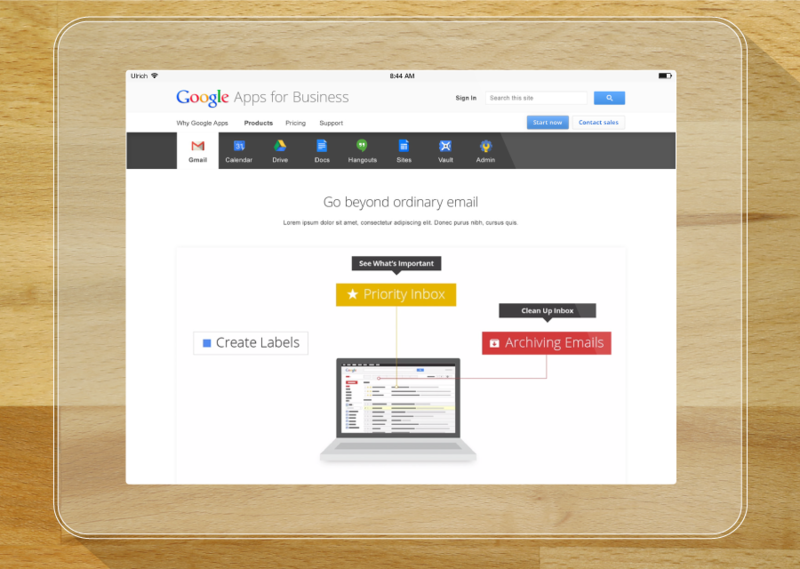 Small business owners want to lighten their workload and improve their business by focusing on its direct benefits, which is where Google Apps come in. Google wants to clear up the confusion and show the simplicity and effectiveness of the product. The team decided to design business experiences into simple, inspirational moments that make a lasting impression on users. Through video, real life business scenarios and narratives, these moments humanize the benefits of Google Apps so they leave a lasting impression on users. This experience removes the hurdle that still stands between users learning about Google Apps and signing up/adopting it into their best practices. Starting with some of the common frustrations lead users to explore more about the advantages of Google Apps over their current work style. testimonial videos from real life businesses who have realized their personal Moments of 'Aha' (personal rewarding emotion) with Google Apps. - AFTERNOON: DISCOVER / INSPIRE / LEARN / TRY IT! Whiteboarding is always a first step that I use to map out my thinkings or the wireframes. I do like my Moleskine, but I found it less obvious when I have to iterate on ideas with the team. Each tile allows the user to quickly scroll to the relevant section on the page. Once arrive on the dedicated section, the user is able to get more information via a carousel (right side arrow) to reveal more. The right side arrow appears only if there is more content within the consulted section. While the left arrow appears after the first click on the right arrow allowing the user learn more about the need or product. The inner navigation allows the user switch between apps and reach quickly the related app content section. 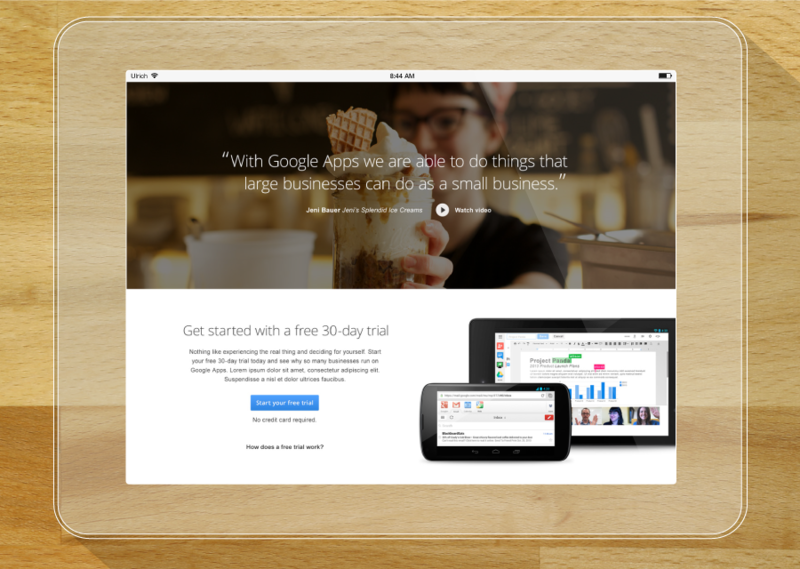 Hope you enjoyed reading Google Apps for business case study.